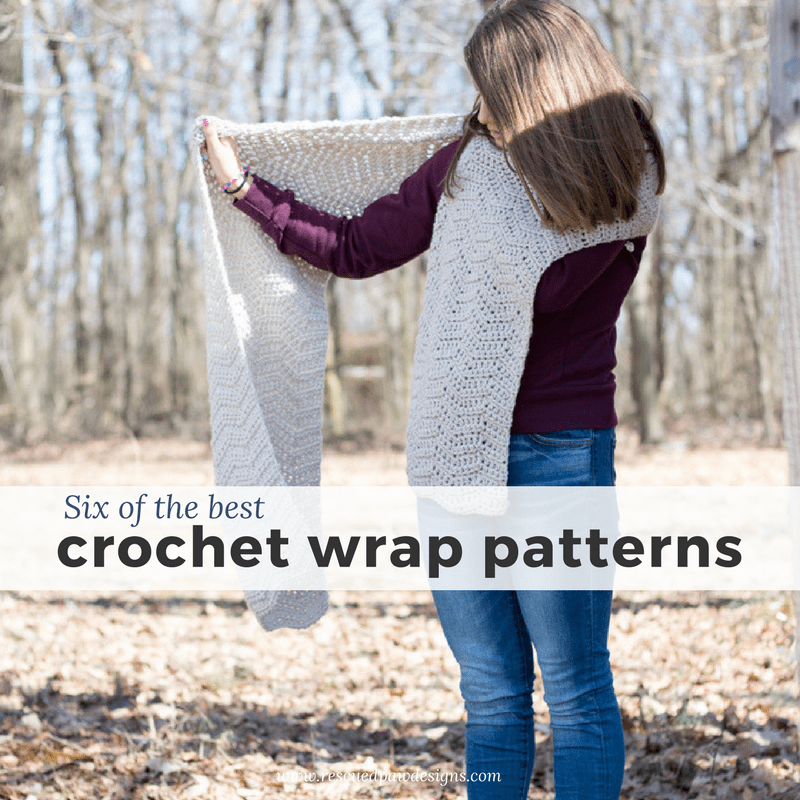 Take a look below at six free crochet wrap patterns that are perfect to stay warm in! 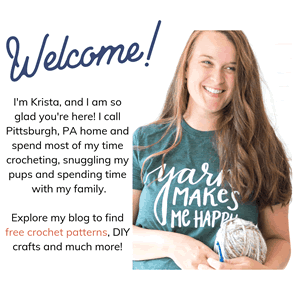 SIX Free Crochet Wraps to Make! With so many beautiful free crochet wrap patterns to chose from it was hard to pick only six! And most of the patterns I picked use Lion Brand Yarn which is probably no coincidence since it is my FAVORITE yarn company! 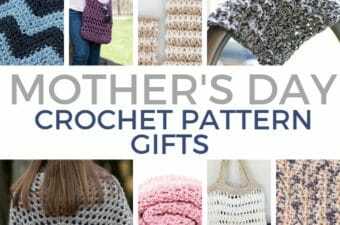 Scroll on down to find some of the most beautiful wrap patterns from some of my blogger friends and get started today on your next project. Happy crochet wrap making friends! Read on down to find 6 Simple Crochet Wrap Patterns! The gorgeous colors and detail in this crochet shoulder wrap pattern make this design from One Dog Woof the perfect wrap to make! Try it today and see what I mean. 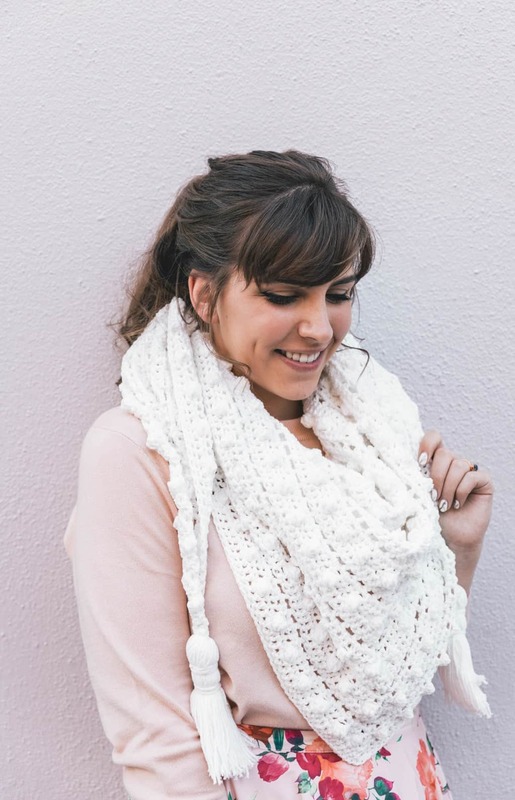 This neutral crochet wrap pattern from Mama in A Stitch is the perfect accessory for most any outfit! The neutral color go with most any outfit and would be perfect for cool evenings! Make the Dreamer Wrap Today! 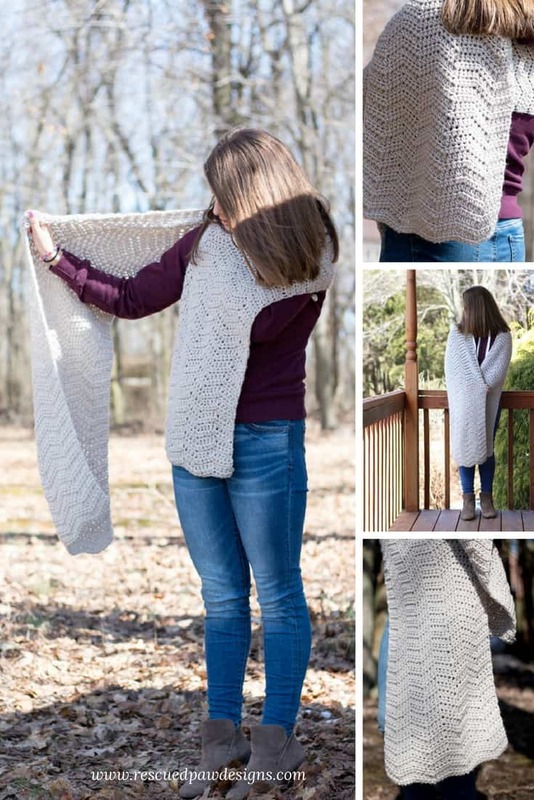 This beautiful crochet shawl wrap pattern from Two of Wands is the perfect way to stay warm throughout the entire year! 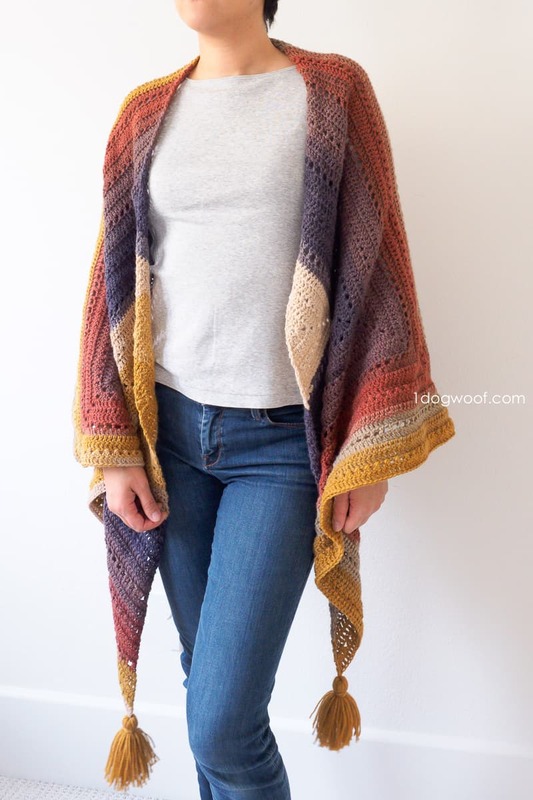 Grab the free crochet shawl pattern today! 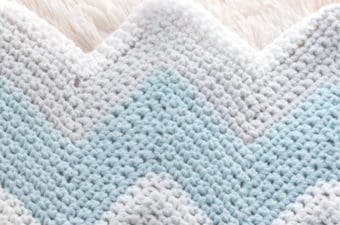 This chevron crochet wrap pattern from Rescued Paw Designs (that’s me!) 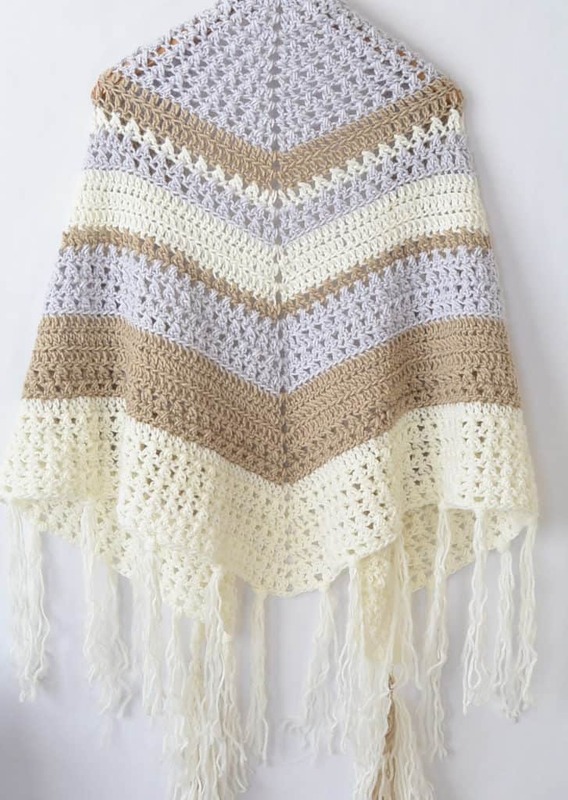 is the perfect spring crochet wrap to keep you toasty warm on those cool spring mornings. Click on over to the link above to get our own copy of the Isle Wave Crochet Wrap Pattern today! This one of a kind chevron lace crochet wrap is a feminine delicate piece that is perfect for all year long! 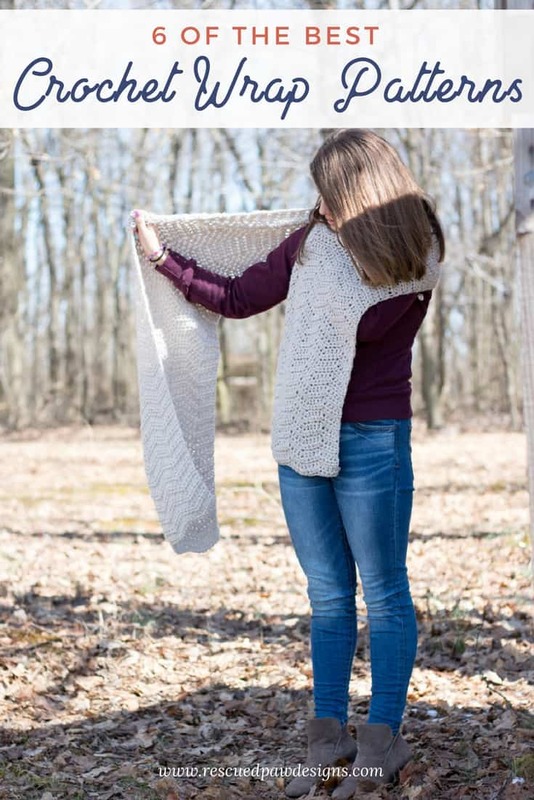 Get this free feminine crochet wrap pattern from Moogly today. This beautiful crochet wrap cowl pattern from Sewrella is perfect to go with most any outfit. 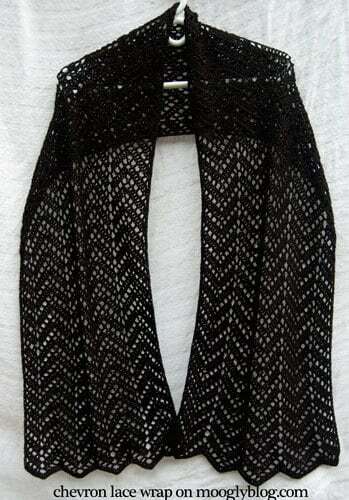 Dress up your outfits today with this one of kind gorgeous crochet wrap! Have Fun Making Crochet Wraps! That’s it! I hope you found a new favorite crochet wrap to make! Maybe you will decide to make all six? I couldn’t blame you since they all are so gorgeous. If you liked this list please feel free to share with your friends and family. 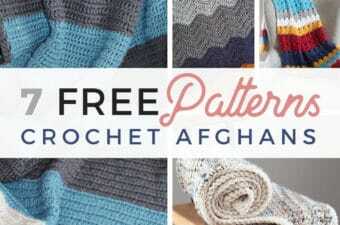 You May also like these FREE patterns too! Want more patterns and roundups like this? Follow along with me on Facebook or Pinterest so you will know when all my new patterns are released. Happy Crocheting!